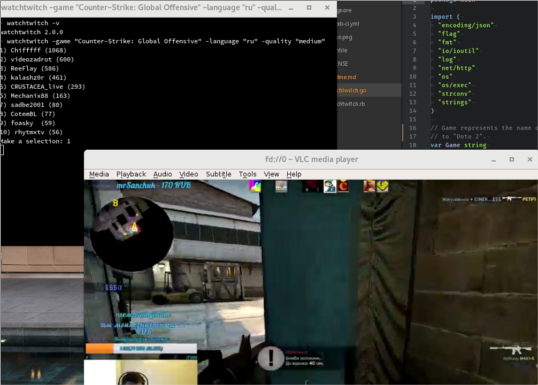 If you haven't seen my command line twitch.tv browser, check that out first. While the ruby script works perfectly, it was still pretty heavy, needing ruby and gems installed everywhere I wanted to have at-my-fingertips Dota 2 streams. I've been getting into GoLang recently and this seemed like the perfect project to re-implement. Notable changes include command flags for choosing the game you'd like to watch, the quality of the stream, and the language of the stream. Check out the readme for more information. All this goodness rolled up into a single binary. 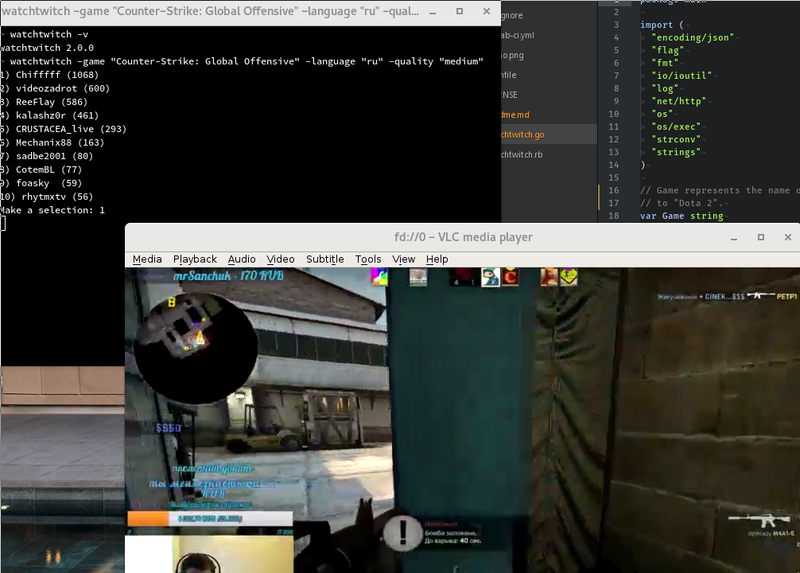 Like with the ruby script, it does rely on livestreamer and vlc to do all of the heavy lifting. This program is merely a menu of the 10 most popular Twitch streams for a given game and language. As usual, the code is MIT licensed and available on GitLab. If building source code isn't your thing, grab the downloads below.